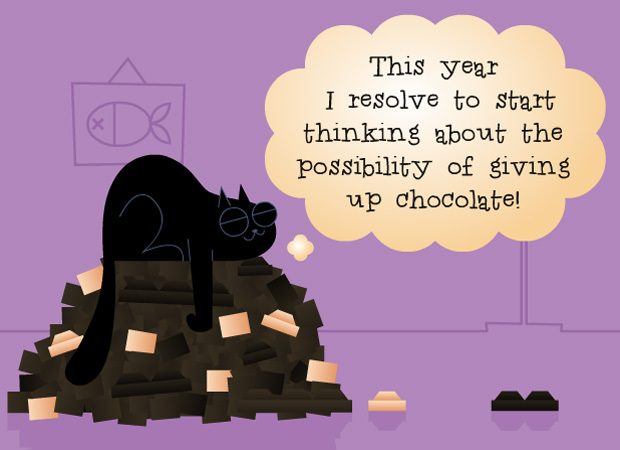 This New Years eve ecard shows a trail of chocolate on the floor and the camera shot pans left and you see a big old pile of chocolate with a fat cat lying on the top of it throwing more chocolate into its mouth. Text then appears saying that the cat is going to give up chocolate for lent. this card is perfect for any chocolate lovers that you know.